ProphyPaste PRO is the one-step prophy paste for outstanding cleaning and polishing results that offers decreased treatment time. The same paste is used for stain removal and final polishing. Prophy Paste PRO’s high cleaning power converts into gentle polishing as the particles are fragmented. 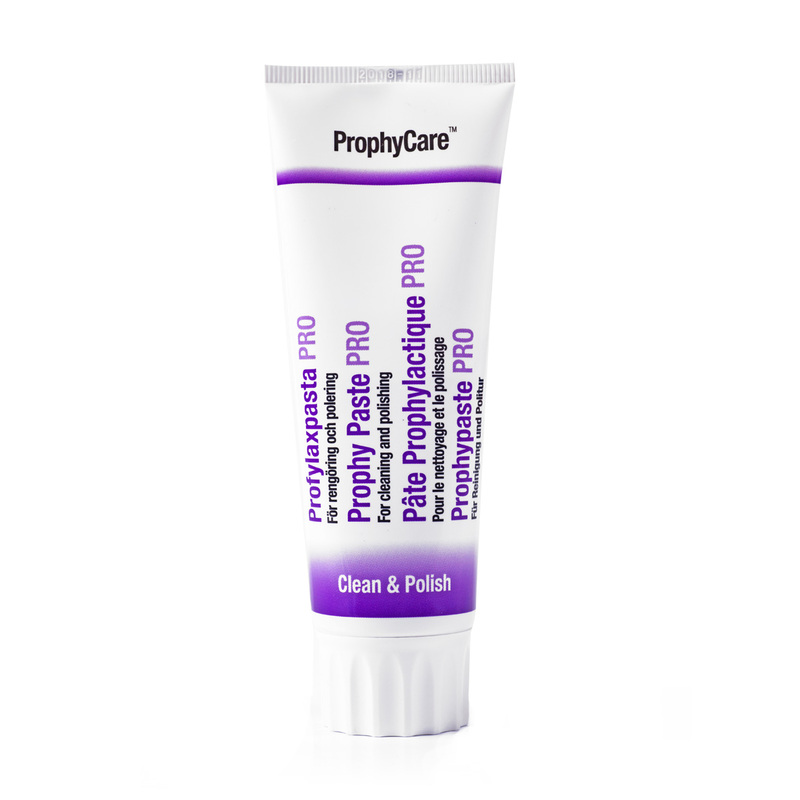 Prophy Paste PRO low RDA value of 20 offers effective stain removal properties at the beginning of the treatment and decreases progressively to a lower RDA value of 5, giving the paste its final polishing properties at the end of the treatment. Prophy Paste’s mild mint taste and appealing texture is pleasant for patients of all ages and does not splatter, liquify or separate and is easy to rinse-off. Contains fluoride to remineralize enamel after polishing, thus supporting caries prevention. Available in single doses and tubes.